Ahhhh. Saturday. Sweet, sweet Saturday. I had every intention of waking up early, taking a long walk, and then doing a little work. I know, I know. What was I thinking–work on a Saturday?? What was I thinking? 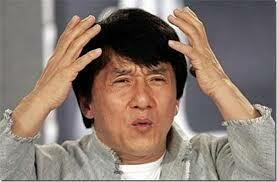 Work on a Saturday?? After a lazy cup of coffee and listening to Chris Robinson Brotherhood, I changed my mind. Drastically. What were the new plans? 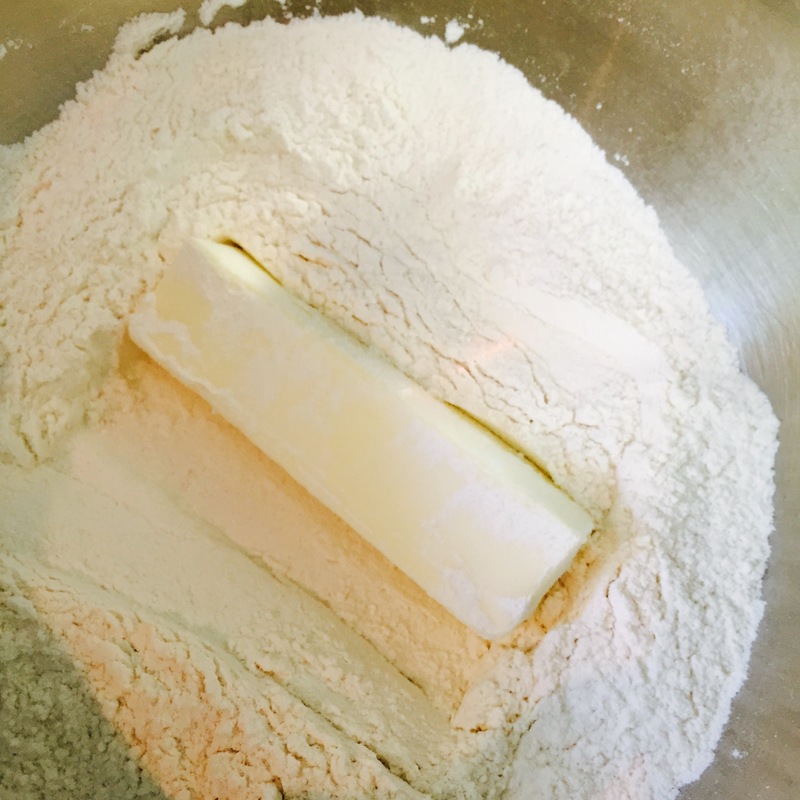 Flaky buttermilk biscuits. Gardening. Hangin’ with The Hubbs and the doggies. Firin’ up a smoker. Sittin’ on a porch. After all, it is National Relaxation Day! Starting my Day of Enjoyment with biscuits sounded just perfect. Now, I must tell you. I do not, repeat, do NOT have a good track record with biscuits. I can remember making something akin to a hockey puck in Home Economics with Mrs. Schlegel. Don’t get me wrong, it wasn’t her fault. Other kids had tall, billowing, glorious biscuits and I had short, sad doorstops. I’ve tried every method. Cutting butter with knives, breaking it up with your hands, lard, varying flours, eggs, and no eggs all with no luck. I think I even consulted a Shaman and burned sage to release evil, biscuit-destroying spirits from my kitchen. 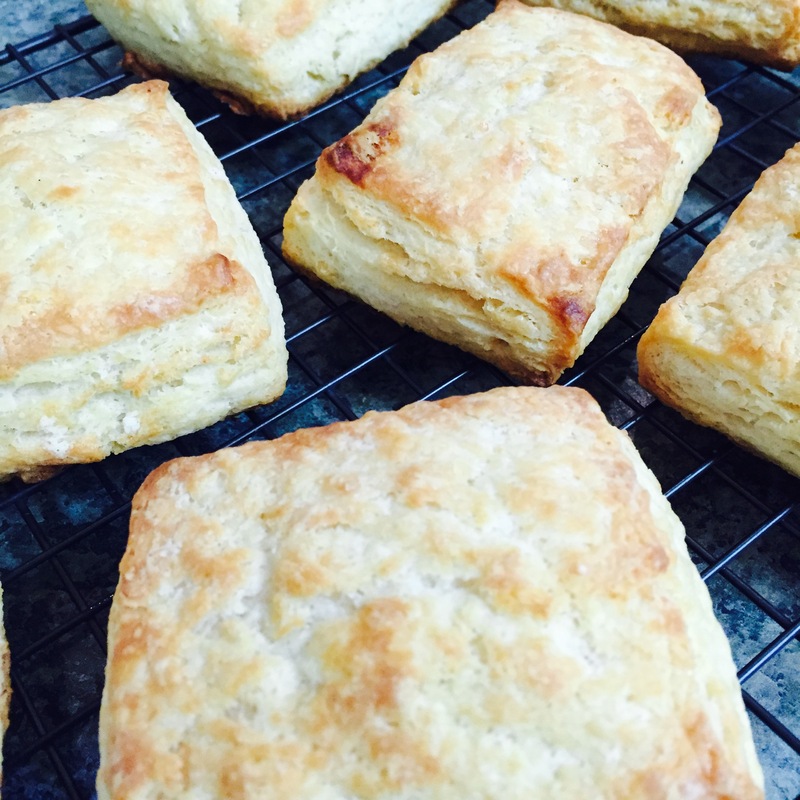 Alas, the biscuits were always chewy and dense, not flaky and tender. And then, serendipity smiled down upon me in the form of a Cook’s Illustrated recipe. It appears the secret to peelable, flaky layers in a biscuit is to get the butter both cold enough and the right size to laminate it between layers of dough. Freezing the butter and grating it with a chilled cheese grater works perfectly. Folding the dough and rolling it out several different times, much like making croissants, provides for unparalleled flakiness. Triumph! Elation! The skies parted, the birds sang, the morning sun shone down upon me, and the Criscuit was born (cue ‘Morning has Broken’ by Cat Stevens)! For the first time in 26 or so years, I made a biscuit worthy of eating more than one (or even a whole one!). These biscuits are very much a cross between a biscuit and a croissant. They kind of conjure up memories of those peely-flaky biscuits in the pop can, just sans the chemical faux butter taste, weird rubbery texture, and the sudden cardiac death induced by the popping noise when opening the can. So, just the flaky layers I guess? Give them a try. You will be delighted. 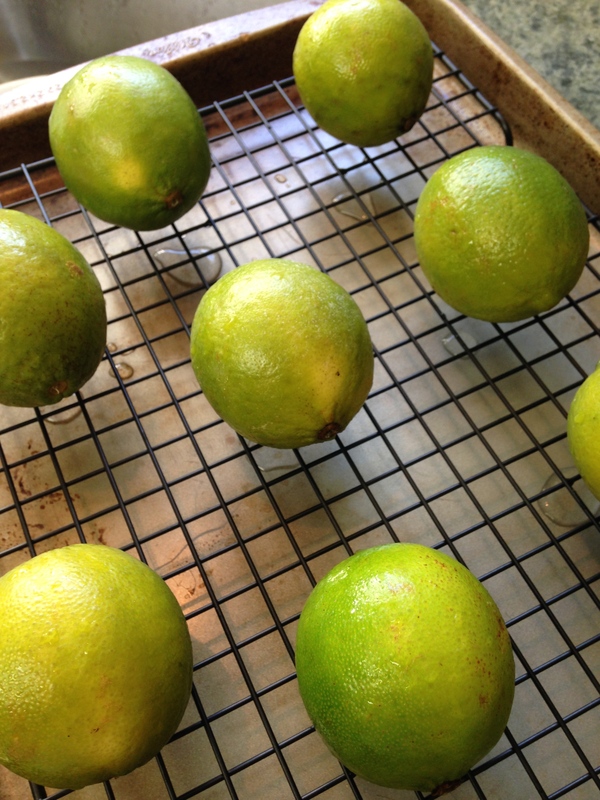 Line your baking sheet with parchment paper cut to fit. 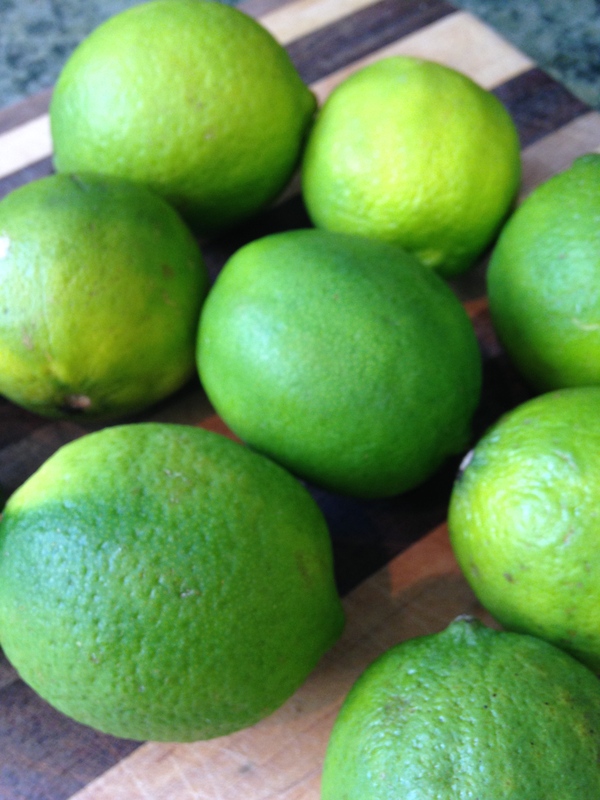 Mix dry ingredients well in your chilled bowl. 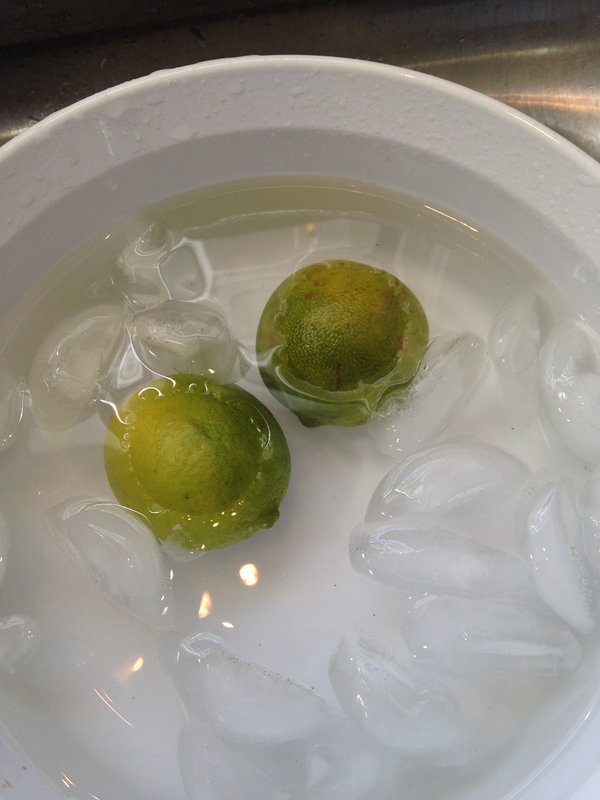 Mix dry ingredients in chilled bowl. Remove butter from freezer, remove wrapper and lightly roll in dry ingredients. 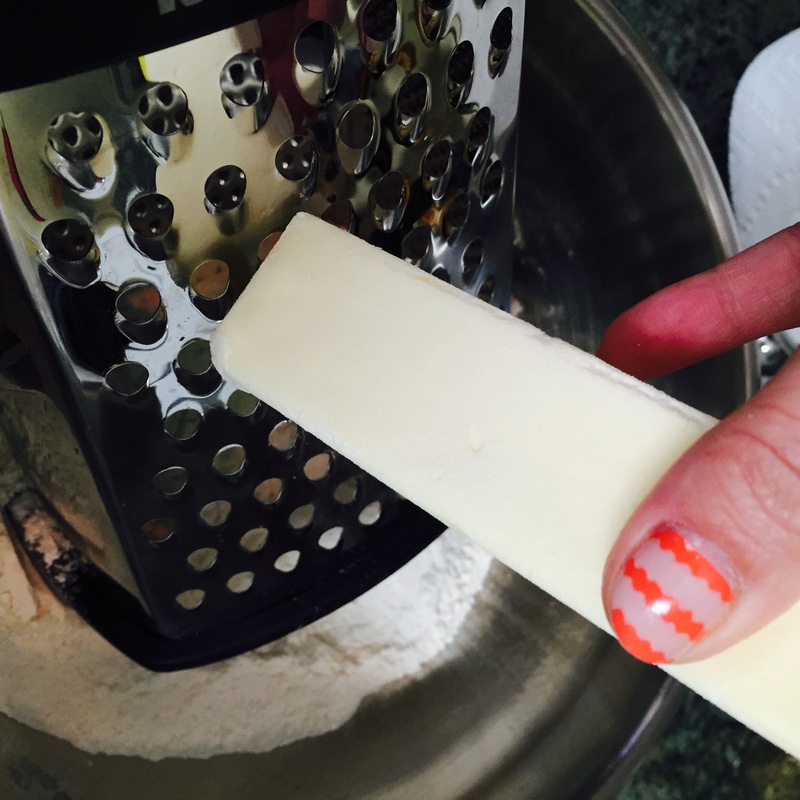 Rolling the frozen butter in the dry ingredients helps your keep a grip on it as you grate. Grate your frozen butter down to the last TBSP. Lightly roll butter gratings in the bowl to coat with flour. Repeat with second stick of butter. Save the (2) TBSP of butter left after grating. Grating frozen butter creates perfectly sized pieces. No more stabbing at the butter with a set of knives! Add buttermilk and fold ingredients until just mixed. 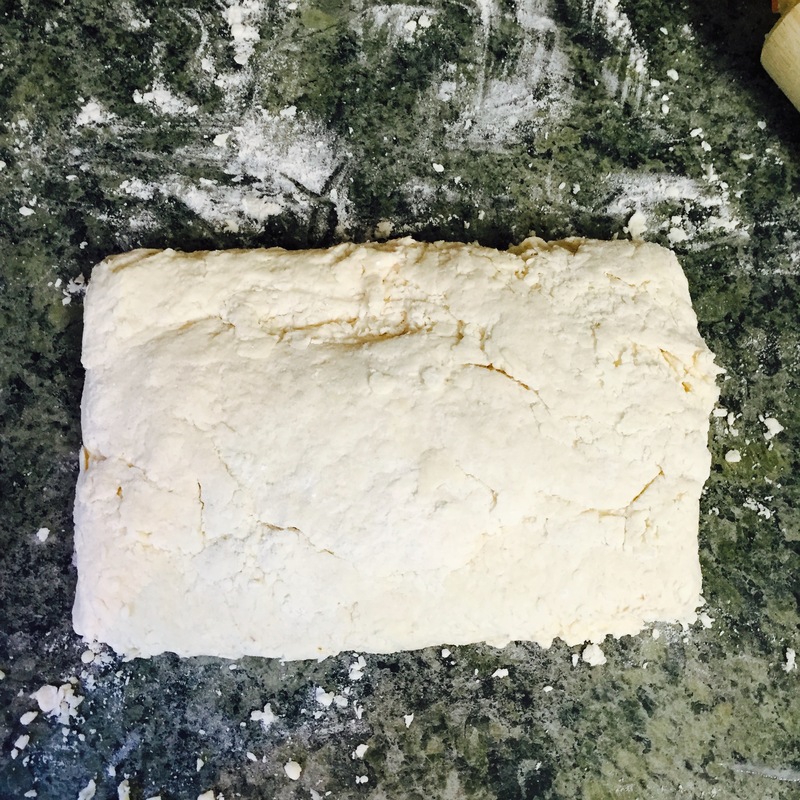 You will have dry flour and the dough will look shaggy. 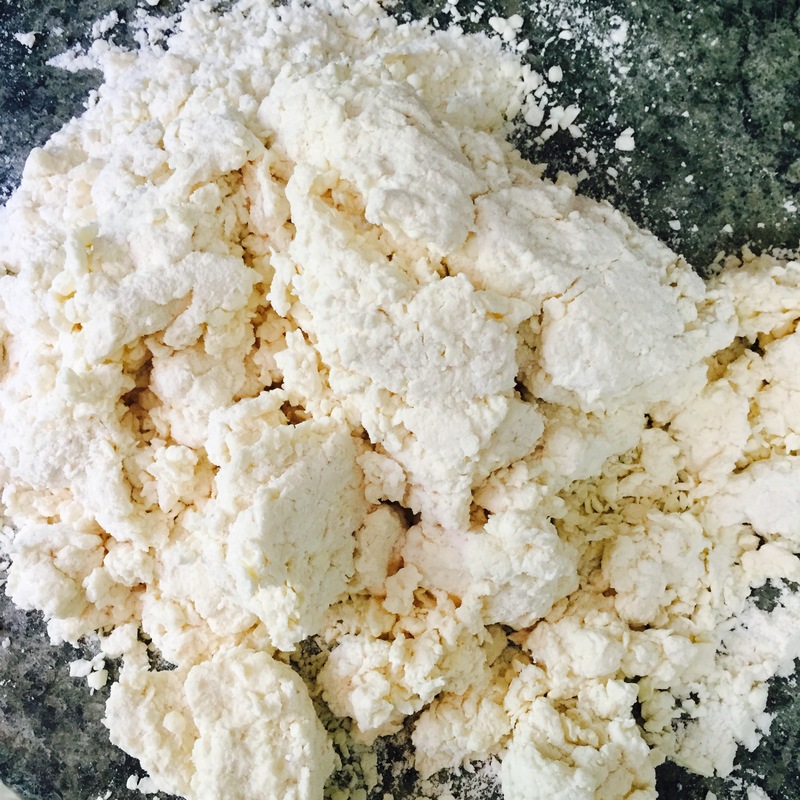 Do NOT add more buttermilk to wet all flour. Somewhat dry, shaggy dough is what you’re looking for. Don’t be tempted to add more buttermilk! 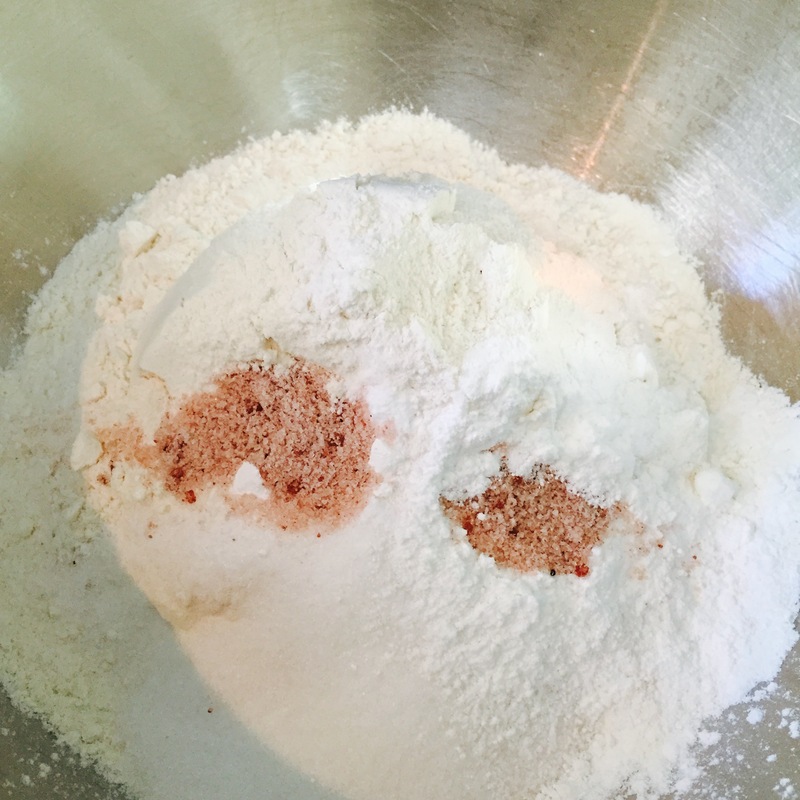 Turn dough onto lightly floured surface. 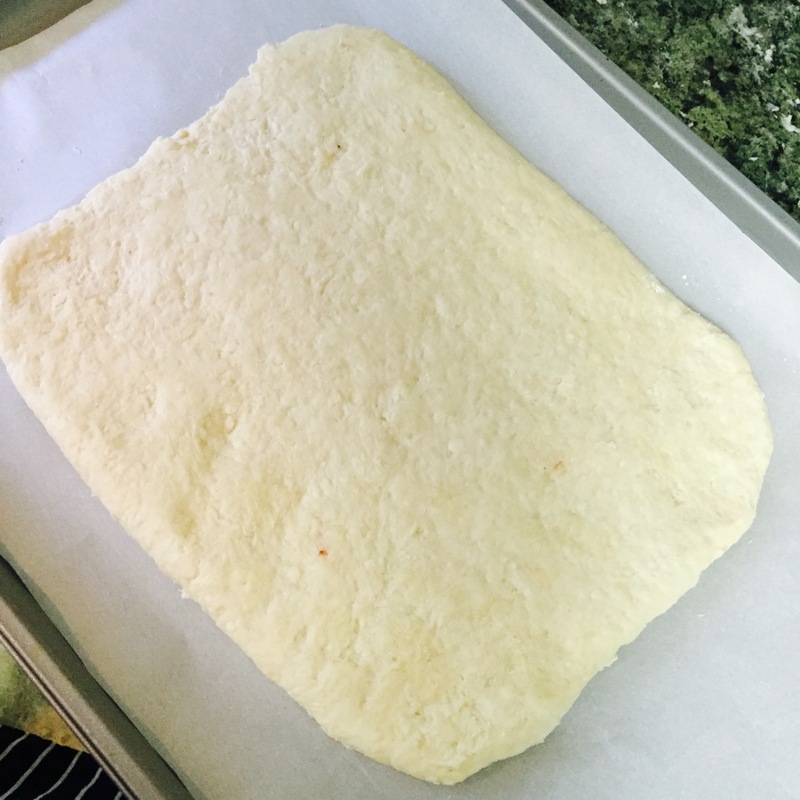 Form a roughly 8 x 12 inch rectangle and press dough together. Then roll the dough a bit to get it to form enough to fold. Getting ready for the first fold. The dough doesn’t really hold together at this point, but that’s exactly how we want it! Roll the dough a bit to get it to form enough to fold. Fold the bottom up and the top down as if you were folding a business letter. This first fold will be messy. Use a bench scraper or spatula to help release the dough from the surface. After folding the ‘letter’, turn the dough 90 degrees and roll it out again. 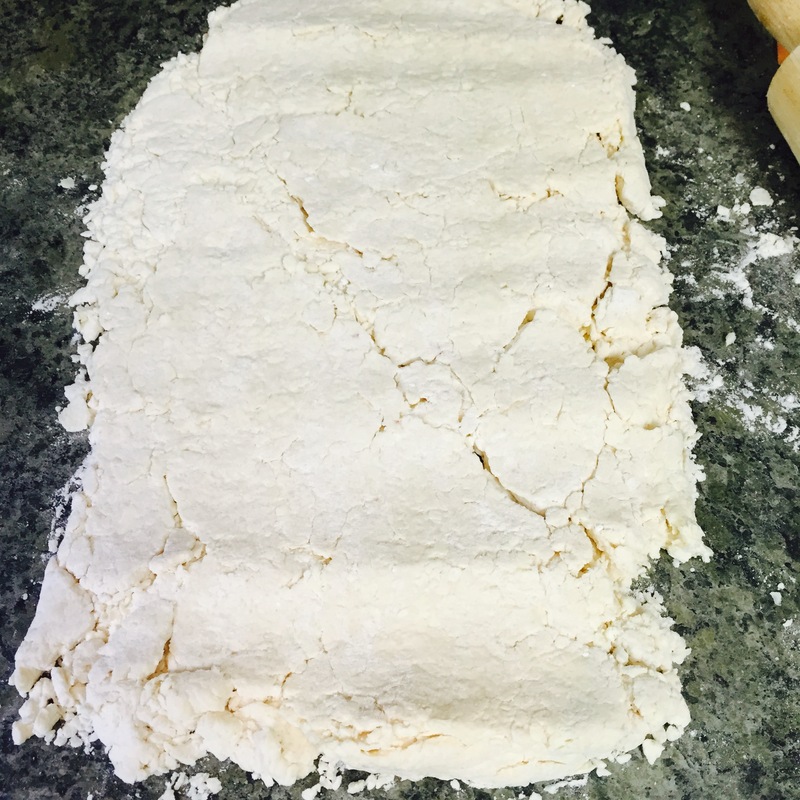 The biscuit dough folded and ready to be turned prior to rolling out again. After rolling, fold the dough like a business letter again. The turn it 90 degrees and repeat rolling, folding, and turning 3 more times for a total of 5 ‘letter’ foldings. After the last folding, roll the dough into roughly a 9 x 9 inch, 1 inch tall square. Did you make it through all that folding, turning, and rolling? Now the dough is ready for resting. Place the dough on the parchment lined sheet, wrap the sheet in cling wrap, and refrigerate for 30 minutes to let the gluten relax. Place the dough on your parchment lined sheet and cover to rest in the refrigerator for 30 minutes. After the dough has been in the refrigerator for 30 minutes, place your oven rack in the top third position and preheat your oven to 400 degrees. 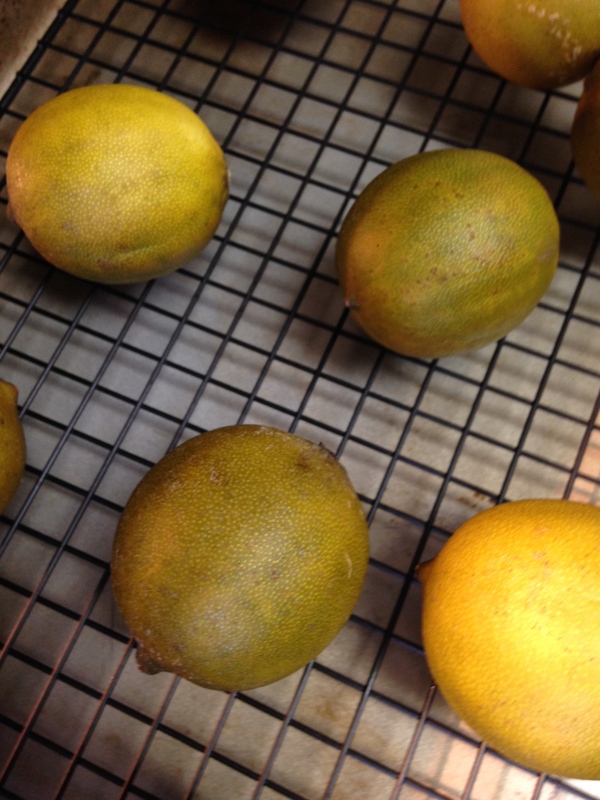 After the 30 minute refrigeration is done, remove the dough and unwrap it. 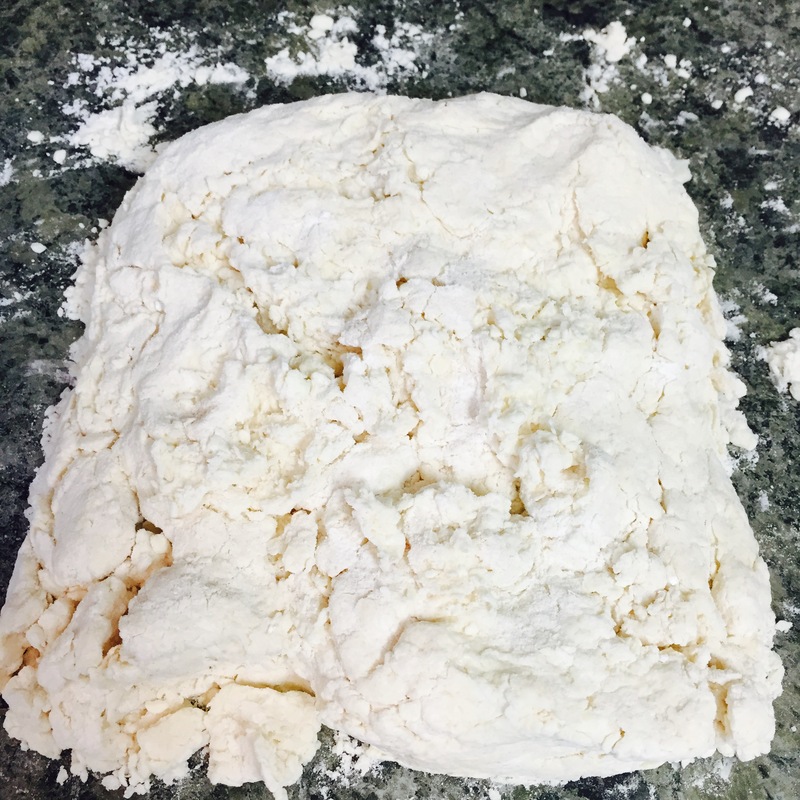 In a pressing motion with a sharp, floured knife, cut 1/4 inch off of all sides of the dough. Limit dragging a knife back and forth as the sawing motion binds the layers together, decreasing rising. 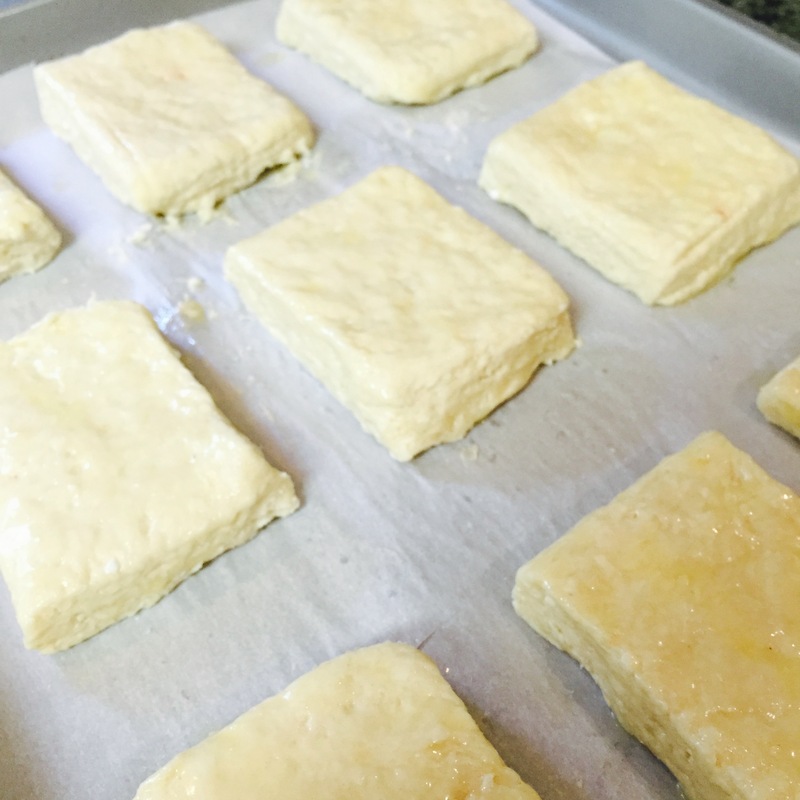 Continuing with the pressing motion, cut the dough into 9 squares. 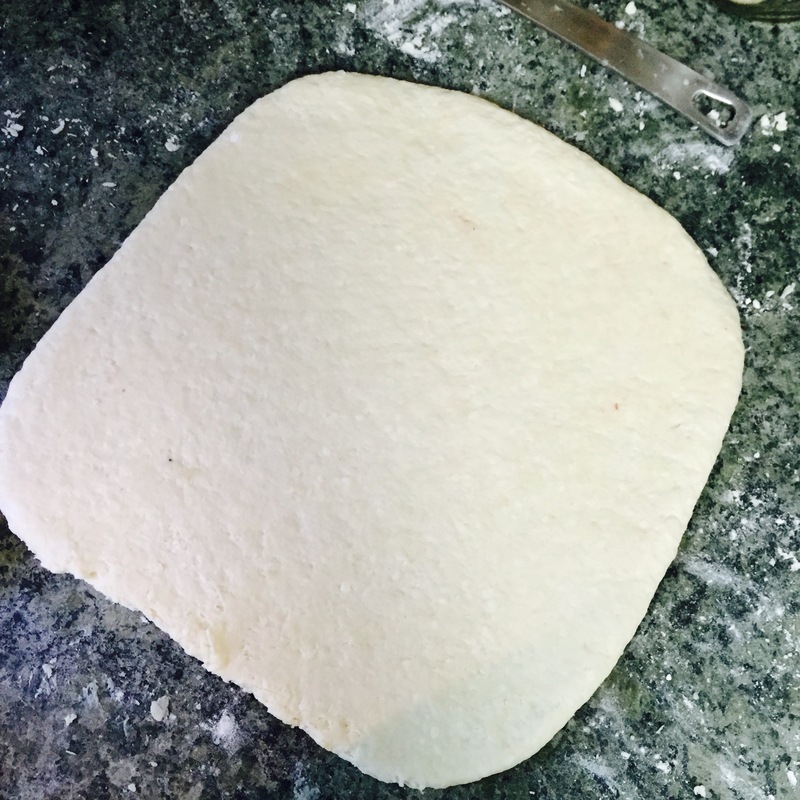 Resist patting the sides of the dough where it was cut to ‘reshape’ or ‘reform’ it as it limits rising. Set biscuits about an inch apart on the parchment lined sheet. Melt the (2) TBSP of butter left from grating and brush the tops only (again, fiddling with the sides seals the layers together and limits rising). Ready for baking. If you look closely you can see the layers on the sides of the biscuits! Bake at 400 degrees for about 20 minutes total, turning at about 10 minutes, or until tops and bottoms are lightly golden. Yes, please! The best part is peeling back the layers while they’re still warm. Pair up with butter and jam or savory treats like sausage gravy or bacon and eggs. Fresh whipped cream and ripe strawberries work well for a simple dessert too!